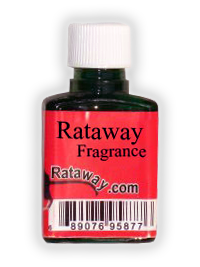 Developed in 1999, Rataway Fragrance, has saved customers over 10 million dollars in damage. It was invented to prevent damage to heating and air conditioning equipment. It has been proven to be a very effective deterrent to protect from rats, mice, squirrels, chipmunks, rabbits, deer and other various small rodents that cause damage Rataway Fragrance, is used to protect car and truck engines, wiring, farm machinery, duct work, electrical lines, cables, insulation, PEX waterlines, furnaces, has many uses... Rataway Fragrance, is safe around children, pets, and service personnel. Sold World Wide. We Accept All Major Credit Cards. Sold Worldwide! Rodents and other animals mark territory with their scent. Other animals are known to be attracted by those scents. Rataway Fragrance is the most effective product to get rid of these scents and annoying rodents. No lingering scent, no more attraction, no more damage. • Rats chew on objects for an average of 30 minutes per day. • Rats have poor vision but an acute sense of smell and hearing. They can smell rat hormones up to 10 miles away. • 25% of all attic fires are caused by rodents. Click here to read about Odorawaynow.com, the Odor ELIMINATOR spray that works wonders!